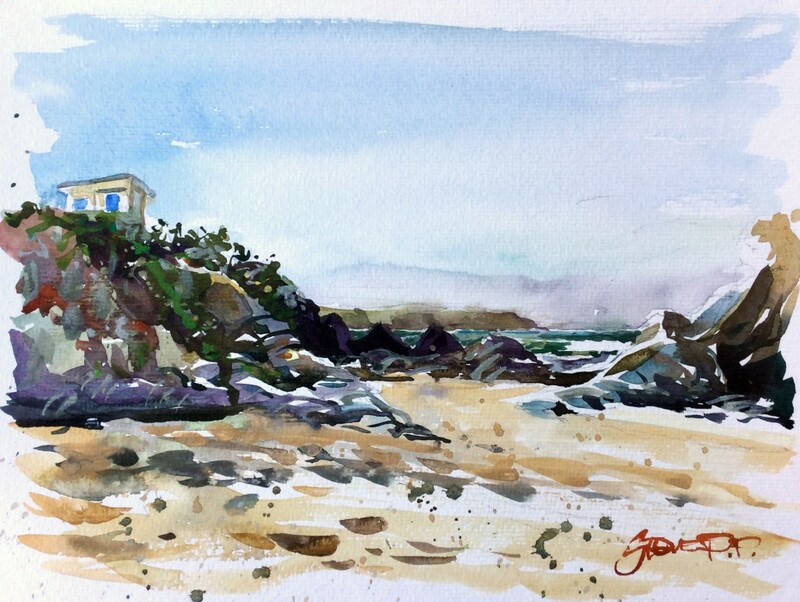 Steven Pleydell Pearce Fine Art Winter Barricane watercolour paintings by Woolacombe artist Steve PP. Winter Barricane. The joys of Winter? Empty beaches. Nature seemingly resting and recharging. Gales and storms, rearranging the shores. Space to walk, sit , think and enjoy.